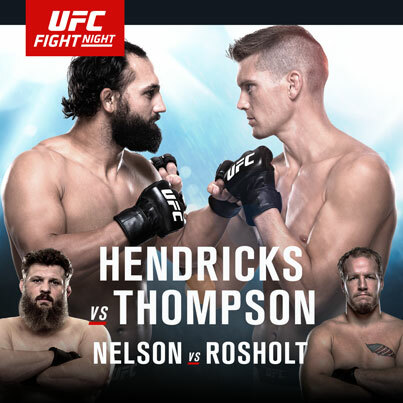 Johny Hendricks vs. Stephen Thompson – If this were a three round fight, I’d be more obliged to side with Thompson. BUT, it’s five rounds and Hendricks looks physically the best I’ve ever seen him, which is probably is due to his restaurant shutting down (getting high on his own supply or basically fat). Anyways, I expect to see Hendricks high caliber wrestling grind away at Thompson. Roy Nelson vs. Jared Rosholt – This fight is a big opportunity for Rosholt and a must win for Roy Nelson. I however, don’t see how Rosholt wins this fight. He’s going to shoot and try to grind down Roy Nelson, but he’s eventually going to get caught as his striking is plain ole bad. Nelson by KO! Ovince St. Preux vs. Rafael Cavalcante – Cavalcante was once a coveted light heavyweight, keyword once. Since he’s arrived in the UFC, it’s like he’s a shade of himself. Now, he has to beat a stud like OSP? Not happening, this is a terrible matchup for Calvacante. OSP should have his way with Cavalcante once he wears his down with wrestling and eventually finishing him late. Joseph Benavidez vs. Zach Makovsky – This is a good fight on paper, however I think Joey B is going to dominate. AND after this win, it might be time for a trilogy fight against Demetrious Johnson. I mean, Joey B is wiping out the division and it’s contenders for Demetrious Johnson. Misha Cirkunov vs. Alex Nicholson – Don’t know anything about these guys, so I’m going to go with the Russian sounding cat Cirkunov. Mike Pyle vs. Sean Spencer – Spencer got robbed in his last fight against Cathal Pendered, but in my opinion didn’t look like he progressed from his last outing. That’s a good sign for the 40 year old Mike Pyle who stylistically could present issues for Spencer. The only factor against Pyle is speed, but I’m going to side with experience and a guy who’s back is up against the wall in Pyle. Josh Burkman vs. K.J. Noons – This is an awesome fight and should be interesting given both guys really need to win to keep their jobs in the UFC. I side with Noons on this though, as Burkman is dropping down to lightweight and with his cardio being an issue at 170, I can’t see how it will be better with a weight cut dropping him 15 pounds more. Noons is going to pick him apart on the feet and finish Burkman late. Derrick Lewis vs. Damian Grabowski – Finally the UFC signed Grabowski, a talent that the Heavyweight division lacks. Unfortunately, this is not a great matchup. I think Lewis is has too much weight on Grabowski who will obviously try and take him down. Lewis will stuff takedowns and either batter Grabowski on the ground or flat out KO him on the feet. Ray Borg vs. Justin Scoggins – Borg is one of the most exciting fighters to watch in the UFC, but since he weight 125 pounds, not to many eyes are watching the talent. I think he rolls in this fight, as Scoggins continues to not live up to the high expectations I once had on him. Noad Lahat vs. Diego Rivas – Ever since getting KO’d via a flying knee by Godofredo Castro, Lahat has looked like an entirely different fighter. An actual talent…which I think will dominate Rivas from start to finish. Mickey Gall vs. Mike Jackson – The C.M Punk sweepstakes has finally arrived and boy do I know nothing about either guy. So, in short, I’m going to with Gall because I don’t the UFC is dumb in getting what they want….Punk vs Gall at UFC 200.